@Zireael I am very glad you like this OXP! @everyone: I have been planning to do some more work on this OXP as there are still some improvements I want to make, as well as to merge all fixes/improvements from the current version of phkb's Xenon HUD. I just have been having so little free time lately... Next weeks will be hectic, but I hope to release a new version soon. My Dilemma is that I like the HUD I am using but also I like the way this add on changes the onscreen wording colour. , Namely the Blue colour, Is there any hope of a plain add on that simply changes the colour of the wording of the various docked screens ? 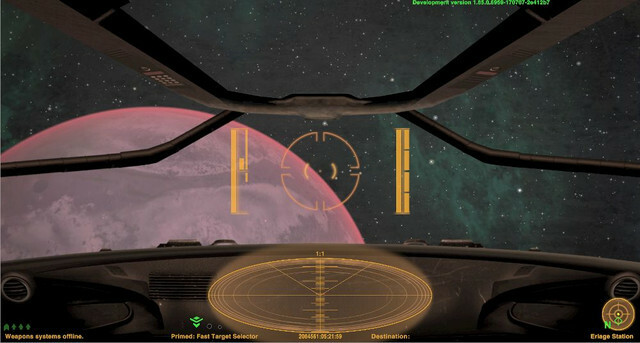 Duggan wrote: My Dilemma is that I like the HUD I am using but also I like the way this add on changes the onscreen wording colour. , Namely the Blue colour, Is there any hope of a plain add on that simply changes the colour of the wording of the various docked screens ? Are you familiar with uncompressing OXZ files and installing them manually as OXP? If so, then do that for the blue variant and then remove all files except for /Config/gui-settings.plist. Let me know if you need any help. I am still looking for a how to in the respect of converting oxz's into OXP's to allow for modification and tweaking alas, or as you hinted, I have no idea how to uncompress oxz's in Windows 10. Select the (installed) OXZ in the manager, hit 'x', confirm, and that will auto-extract it to your AddOns folder for tinkering. You'll then need to change its suffix from .off to .oxp (I think that's correct). Last edited by Duggan on Sun Oct 29, 2017 3:03 pm, edited 1 time in total. You might have to go back to the manager and remove the OXZ version after extraction. Not sure about that though. If you change the .off extension to .oxp, the game will recognize it. So is the one on site a re-release? Cause I just downloaded it and booting it up. If not toss me a link to it, cause the manager never works for me, I just download and install myself. I currently use the orange ED HUD. Never mind, got the manager to work.